The Culebra Ferry sunk my plans to visit Culebra Island off of Puerto Rico. But, you don’t have to make the same mistakes as I did. Planning a trip to Puerto Rico and want to visit the beautiful Culebra Island? So did I.
I heard…from a friend…the snorkeling on Culebra is stunning. Are you hoping to snorkel, too? Culebra beaches are breathtaking. I’ve seen them in pictures. Hoping to put your toes in the sand? In this guide, I’ll explain what happened and how, in hindsight, I could’ve avoided missing out on a gorgeous Culebra beach day so you don’t suffer the same travel mishap on your Puerto Rico trip! Before breaking each of my mistakes down and explaining how you can avoid making them all over again, let’s cover a few basics to get you oriented. Culebra Island is small & tranquil and home to the famous Flamenco Beach considered one of the top ten beaches in the world. 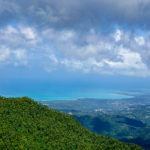 Along with El Yunque National Forest, it’s one of the top day trips from San Juan. That’s why most travelers make this Caribbean gem part of their Puerto Rico itinerary. Where is Culebra Puerto Rico? Culebra Island is a municipality of Puerto Rico located 17 miles east off the big island and 9 miles north of Vieques. It’s also just 12 miles west of St Thomas making it geographically part of the Virgin Islands. As of the last census count, about 1,800 people live on Culebra. During a Culebra trip, you can relax on the beautiful beaches and do activities like diving, snorkeling, hiking, and kayaking. Scooter rentals are also available to explore the island. 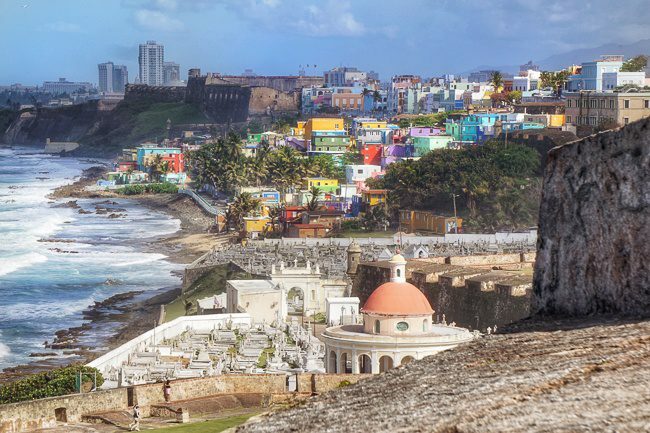 Hands down, it’s one of the most popular Puerto Rico day trips. Given the island is a little sleepy, without the big elaborate hotels and resorts typical in and around San Juan, Culebra is also very popular with the locals who come for weekend excursions as well. 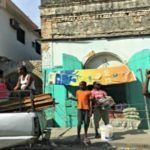 Has Puerto Rico recovered from Hurricane Maria? Any and all mishaps aside, my trip to Puerto Rico was wonderful and the island is absolutely ready for your visit. It’s been nearly 18 months since the horrible Hurricane Maria but the island has made tremendous progress in getting back on track. If you’re considering a trip, put aside any apprehensions about Puerto Rico’s readiness for tourism. There’s no need to be concerned. 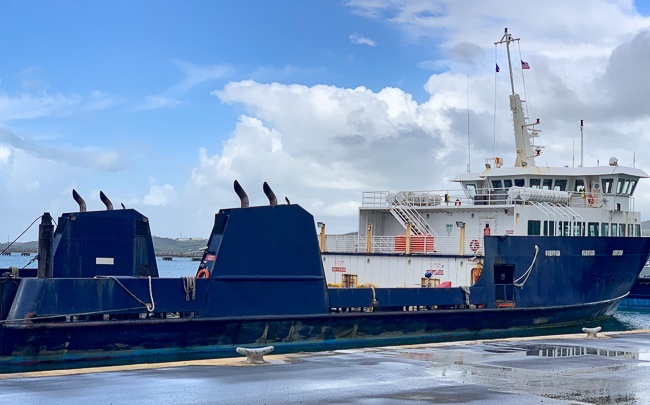 What’s going on with the Culebra Puerto Rico Ferry? That being said, if you’re planning a day trip to Culebra Island (as you absolutely should! ), then you need to be aware of the pitfalls and mistakes that plague the Culebra Ferries. The short of it is that the government handed over ferry responsibilities to the Puerto Rico Maritime Transportation Authority (MTA) and nobody appears to hold anyone responsible. This was the opinion of my born-and-raised-on-Vieques snorkeling tour guide from a subsequent day trip to that island. He & others explained this has been a long-running issue with a poorly run operation. Residents are given priority position over tourists to purchase tickets but I spoke to several locals who reported even with that, it’s still messy. 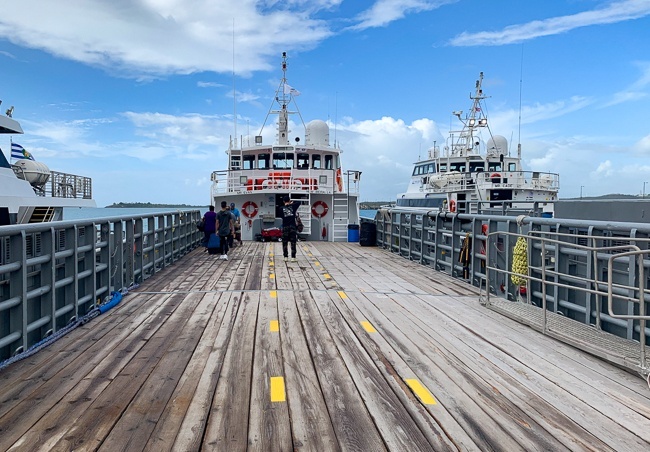 In addition, before October 2018, Puerto Rico ferries to the two popular islands didn’t depart from Ceiba. The ferry from Fajardo to Culebra and Vieques was the norm. In chatting with some locals, no one seems to know why the change from the Fajardo Ferry Terminal was made. I had a couple of hiccups to deal with, meanwhile, these frustrated residents deal with this on a regular basis. Prior to Hurricane Maria, many of the businesses that ran tours had their own boats so they could take tourists to and from the islands themselves. However, many of these people either lost their boats in the storm or had to sell them because of a slowdown in tourism business right afterward. 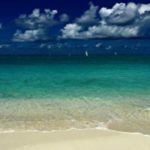 Which brings us to each of my mistakes and what you should do instead if you’re planning a Puerto Rico vacation that includes a day trip to Culebra. Mistake #1: Not Booking a Tour in Advance. I considered doing this from the outset, researching Culebra Island snorkeling and bio bay tours on Vieques. 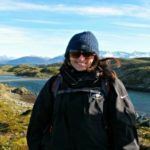 I thought these 2 guided activities might be the perfect complement to the things I planned to do on my own, like go hiking in El Yunque National Rainforest. While I did book the Vieques Bio Bay tour (more on that later), I’d read some pre-Hurricane Maria information about snorkeling on Culebra that seemed to show how it was easy to snorkel off the beaches without a guide or even book a short tour once on the island. I decided to keep my Culebra options open and this proved to be my biggest mistake. 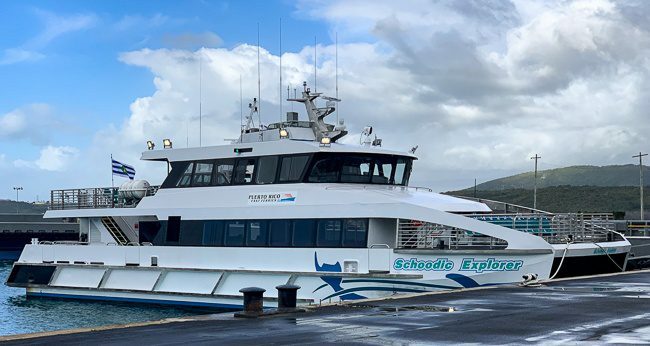 If your heart is set on a beach day or a particular Culebra excursion like snorkeling, book a tour in advance instead of relying on the Culebra Island ferry. 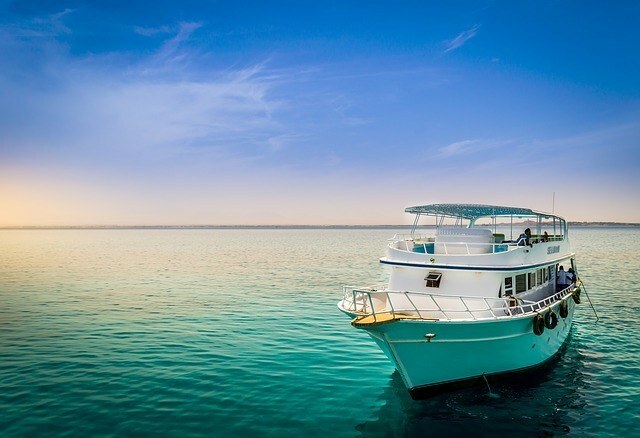 Make sure the package includes the boat ride to and from the mainland, which many of the Culebra snorkeling tours do. Depending on what time of year you visit, these tours fill up quickly given the Culebra ferry issues. You’ll need to get to a pickup location unless you’re staying at a hotel that can arrange transportation. Uber also works in Puerto Rico and is a much better option price -wise when compared to taxis. 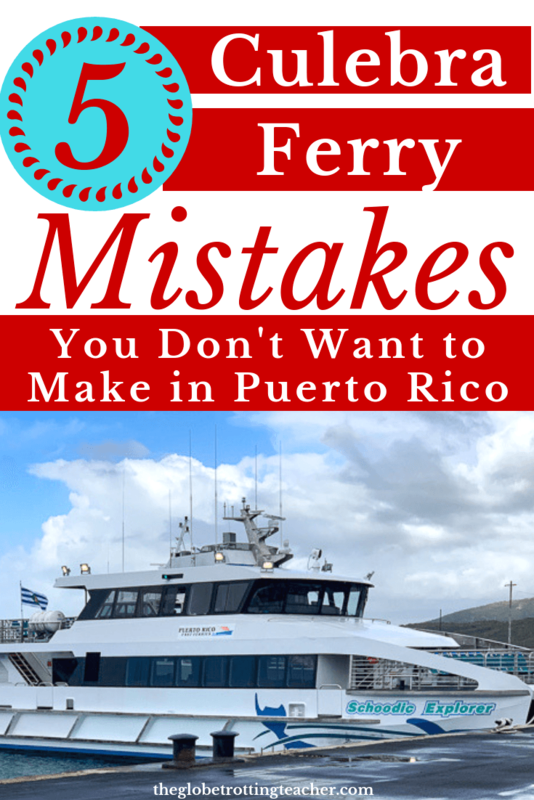 Mistake #2: Not Buying Culebra Ferry Tickets in Advance. Before leaving for my trip, I researched the ferries to Culebra Puerto Rico. Without any clue about the ferry logistics, I did the typical search for schedules, cost, and whether or not I’d be able to make a reservation online. The search showed the scheduled ferry times for a passenger ferry and a cargo ferry. The cargo ferry can take over cars and a limited number of passengers while the passenger ferry is just for passengers. As I write this, you can’t make any advance ferry reservations online so you need to purchase tickets at the Ceiba ferry terminal in person. Beware of any websites claiming to sell tickets online, too! If you’re unsure, contact your hotel and ask them directly if online booking has become available before sharing any credit card details with an unofficial website. Go to the ferry terminal 1-2 days before your planned day trip to Culebra and purchase tickets. After what happened with Culebra, I purchased my Vieques tickets on Sunday for my Monday trip. Again, if Culebra and Flamenco Beach are on your list of things to do in Puerto Rico, it’s worth a ride to the terminal to get those tickets. From Ceiba, the Culebra Ferry costs just $5.00 for a roundtrip. Actually, after you pay the $5.60 all day parking rate at the ferry terminal in Ceiba, you’re up to $10.60 for a ferry ride, parking and an unforgettable day of fun in the sun. The ferry from Ceiba takes about 45 minutes so plan accordingly when choosing which ferry departure and return make sense for what you want to do on the island or back on Puerto Rico later in the evening. Mistake #3: Getting Tickets too late on the Day of my Trip. According to the Culebra ferry schedule online, I planned on the 10:30 a.m. ferry. My plan was to get there for about 9:30, which I thought should be enough time to park, get a ticket, maybe even grab a cup of coffee and cue up for a ferry ride. I planned my drive using the Waze app, which worked perfectly during my whole Puerto Rico trip I might add. It suggested I leave my hotel by 8 am so I left by 7:30…just in case. The drive went pretty smoothly aside from some traffic and a burst of rain. By the time I parked, grabbed my stuff, and made my way over to the ticket booth, it was closer to 9:40. I remember thinking, “good thing I left a little earlier.” Little did I know what was in store! Spoiler alert…I never made it onto that or any other Culebra ferry during my trip to Puerto Rico. If you can’t go 1-2 days in advance to buy your tickets in person as suggested earlier, get to the Ceiba Ferry Terminal as early as you can on the day you want to go to Culebra and target the passenger ferry schedule. The passenger ferries fit more people than the cargo ferries which only take a limited number of people. Most of the space on the cargo ferries are for cars and when they say limited space, they mean LIMITED. Mistake #4: Not Avoiding Weekends. I’m certain one of the issues that further complicated everything was I planned my day trip for a Sunday. I was told because of “too many passengers and a broken ferry” I could get to Culebra and “probably” return early the following day. Ugh. Culebra was slipping thru my fingers. 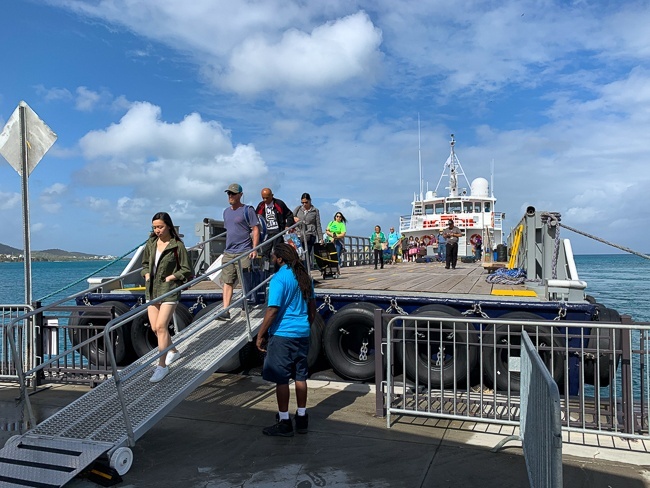 The combination of tourists and locals returning from full weekend excursions to Culebra (remember it was a Sunday) and the number of people like me who wanted to visit for the day meant the return trips were full. In comparison, my Vieques day trip was on a Monday and the boat I returned on was nearly empty. Plan your Culebra day trip for a weekday, if possible. There’ll likely still be a good number of tourists but, without a doubt, fewer locals vying for tickets. You might also want to consider a full weekend in Culebra if avoiding a weekend isn’t possible. This could eliminate the Sunday return trip issue as you’ll buy your roundtrip ticket 1-2 days before your actual return. Forgive the pun, but there were plenty of other people in the same boat as me. 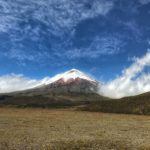 I was surrounded by other travelers who were confused and bewildered about what we should do next. Picture a scene from The Walking Dead where the zombies are planning a beach day with coolers, backpacks, towels, and sunhats in hand. Mistake #5: Not Considering the Flight Option. Without a doubt, flights to Culebra are much more expensive than the ferry. The upside is, though, you’ll get there fast and without the hassle of the chaotic ferry terminal. 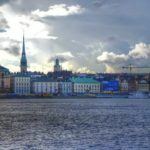 But, the difference in flight price versus the $5.00 roundtrip ferry leaves many tourists (including me) opting for the boat ride in a blink. At $300 for a roundtrip ticket, before spending any money to eat, drink, and/or take a tour, I couldn’t justify it. After all, this was more expensive than my round trip tickets from Newark to Puerto Rico! There are only two ways to get to Culebra from the mainland of Puerto Rico, by sea or by air. 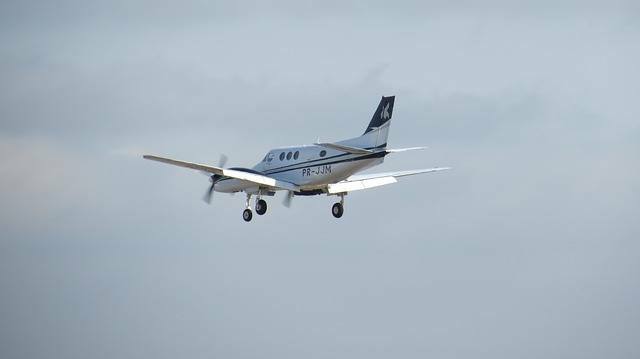 If you want to fly, there are a few regional airlines that service the area. It may be possible to find a one-way ride starting at $99 but expect airfares to range depending on your travel dates so do your homework and search for the cheapest flights. Think about how important it is for you to visit Culebra. 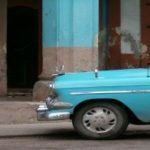 Knowing what I know now, I would have reworked my Puerto Rico itinerary and definitely avoided a weekend day trip. I might have even planned a weekend there. There are Culebra hotels and amenities for a weekend trip and this could justify the price of the flight. You might even consider flying one-way and taking the ferry one-way. But, there’s a risk if the ferry isn’t running or is already full or you can’t get to the terminal ahead of time to guarantee the ferry ticket you need. Still, if you’re someone with flexibility and not intending to travel on a Saturday or Sunday, it’s a possibility. Flights from San Juan to Culebra take 30 minutes. From Ceiba, the flight is just 15 minutes. What happens when all else fails?? If you end up in a situation like I did and you’re stranded, have a back-up plan. I went to Luquillo Beach and salvaged a beach day on a beautiful beach. This was just a short 35-40 minute ride from Ceiba. And, what about the Vieques ferry? Earlier, I mentioned my day trip to Vieques. You have the same travel options here as you do for Culebra. You can take the ferry from Ceiba or you can fly to Vieques from San Juan or Ceiba. There is a flight between the two islands but no ferry service between them. All of my tips above apply if you’re planning a ferry trip to Vieques, too. After the realization of no ferry to Culebra sunk in, it hit me. “Wait! Can I actually get to Vieques tomorrow for my bio bay tour?!? I ran back to the ticket window and asked for round trip tickets to Vieques for the next day and held my breath. I asked for the 9:30 a.m. ferry and since my bio bay tour would end around 8:30 p.m, I needed a return ticket for the last ferry which was scheduled for 9:30 p.m. The person at the ticket booth said no problem except that he couldn’t book me on the last ferry “because the computer wouldn’t let him” but I could buy a ticket for the 6:30 p.m. return and easily exchange it to the 9:30 when I arrived on Vieques. I was already weary given the chaos but I went along with it. I’m not sure I had another choice. Turns out, my suspicions were validated. 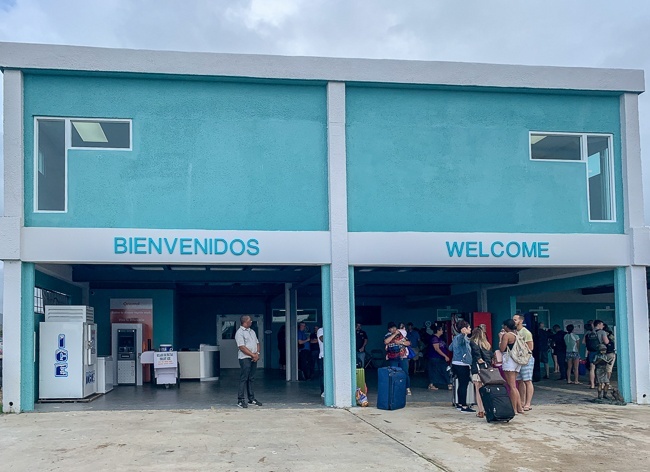 I made it to Vieques the following day but when I went to exchange my 6:30 p.m. ticket for a 9:30 p.m. ticket, I was told the 9:30 ferry wasn’t running because it…broke. In short, I had to quickly rearrange my plans on the island. I rented a golf cart to explore a bit and did a snorkeling tour with the same company I had planned to use for the bio bay tour. Luckily, all was not lost, as I salvaged a bio bay tour back on the mainland in Fajardo after taking an earlier ferry back. And just in case you’re wondering if I’m the unluckiest traveler ever…while having lunch on Vieques. a waitress overheard me talking about my predicament and told me about the mess that transpired the night before. My plan was to spend some chill time on the beach in Culebra and play it by ear without a real itinerary. Maybe I’d do some snorkeling. From a distance, it all appears normal. There’s a ferry schedule online, a ticket booth at the terminal, and a parking lot. No sweat. Lesson learned in hindsight for me. Hopefully for you, how to get to Culebra, with all the pitfalls and options laid out, will be the difference. Are you planning a Puerto Rico trip with time in Culebra? Thank you for the heads-up! I really appreciate very honest posts like this. In fact, as a traveler, we should never really book any trip that’s last minute. Thanks for reading, Agness. Hope the guide will be helpful for any Puerto Rico travel you have coming up.